"If You Have A Down Payment, You Have A Ride"
We stand behind every vehicle we sell with pride and the knowledge that we do our best to satisfy each and every customer. We have over 80 vehicles on our lot with something for everyone - Sedans, Convertibles, Mini Vans, Conversion Vans, SUVs, Trucks of all shapes and sizes! If we don't have it, we can try to find it for you - just let us know! All vehicles are guaranteed for Delaware inspection. Maryland inspections are available, ask for details. 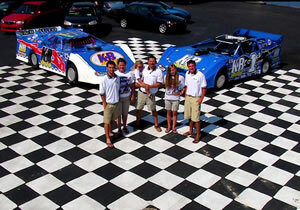 K&B Auto in Delmar, Delaware is owned and operated by Kerry King and family. Our business opened in 1998 with only 15 cars on the lot – today, we have over 80 vehicles to choose from. Kerry, Rhonda, Amanda, Kerry Jr., Kyle, Sydney and Taylor have brought K&B Auto a long way! Our family wants nothing more than the chance to put your family in your next vehicle. We service all of our vehicles after the sale, so we work hard to keep your family rolling.